Choosing what type of insurance cover to get for your car is something which you need to spend a little bit of time on. You might get told by other people that fully comprehensive cover is the best option but what does fully comprehensive insurance cover? The legal minimum insurance cover you can use in the UK is third party only. This is because it is a legal obligation for all motorists to ensure that they can pay for any damage they cause to other vehicles, property or people. As the most expensive insurance option, fully comprehensive cover obviously includes this element. What this means is that if you are at fault for a crash or some other sort of incident your policy will pay out for it. The other type of insurance cover which you can choose if called third party, fire and theft. This covers you if your car is damaged because of a fire or if it is stolen, as well as given the mandatory third party element. 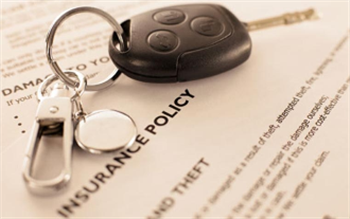 The fully comprehensive policy will also give you this cover, so you will be able to repair or replace the car if it is damaged by either fire or theft. The previous couple of points looked at insurance risks which are covered by fully comprehensive policies as well as by other types. So what is the additional cover which this type of cover offers which makes it so much more expensive in some cases? Well, with a policy like this you can be sure that you will be able to claim for just about anything which happens to your car. Every policy will have different exclusion clauses which stop you from claiming on certain things. However, this is the kind of cover which is going to give you the greatest level of protection possible. For example, if you crash your car and it is your fault then it is the only level of cover which is going to pay out for the repairs to your vehicle. It will also typically cover the loss of personal possessions from within the car, although not all policies will include this section. Now that we are clear on what fully comprehensive cover means the next question is whether it is worth paying more for it. The answer is that it really depends upon your own circumstances. For example, if you are a young and inexperienced driver you might find that a quote for comprehensive cover works out far more expensive then you can afford to pay. On the other hand, an older driver might find that the extra premium involved isn’t really all that much. For most people the other main deciding factor is the cost of their car. If you have an expensive car then you will almost certainly want to try and get it insured on a fully comprehensive basis, as the repairs following an accident could work out to be really expensive. If the car was written off after an accident which was your fault then this is the only type of insurance cover which is going to give you are a replacement vehicle. Alternatively, if your car isn’t worth much then you might find that insuring it on this basis isn’t really worth the money. After all, if the car isn’t worth much then you could end up paying more in insurance premiums over a couple of years then you would get for a replacement vehicle if you had to claim on the policy. One Response to What Does Fully Comprehensive Insurance Cover? Actually, I prefer a fully comprehensive insurance than a temporary one.